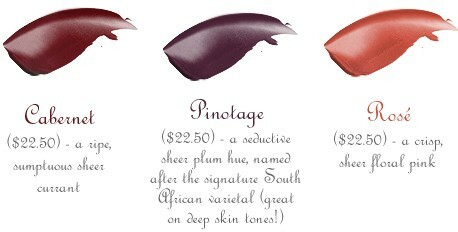 Ripe and Seductive Lip & Cheek Stains inspired by the Wines of South Africa. Earlier this year, Chad visited South Africa and was overtaken by color as he was transported into a lush Autumn landscape (view more about the trip on our blog here!) The result: The Varietals Lip & Cheek Stain Collection, three new wine-inspired tones in Three Custom Color Specialists’ blendable, long-wearing and multi-tasking formula, the perfect compliment to the opulent looks on the runways for Fall 2011. 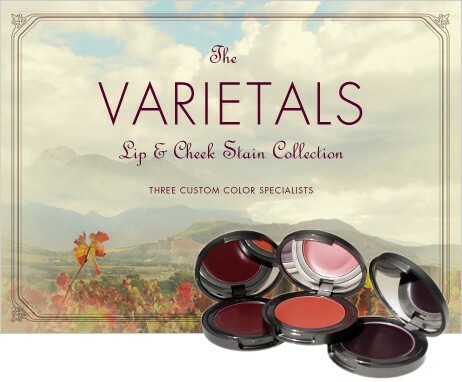 The *NEW* Varietals Lip & Cheek Stains flatter a wide variety of skin tones! All shades will give you a sheer veil of coverage that is buildable to your desired intensity.